Regularly scheduled Acela Express service began on the Northeast Corridor (NEC) between Washington, New York and Boston on December 11, 2000. Through February, Amtrak is marking the anniversary with special “Acelabrations” for customers and employees. 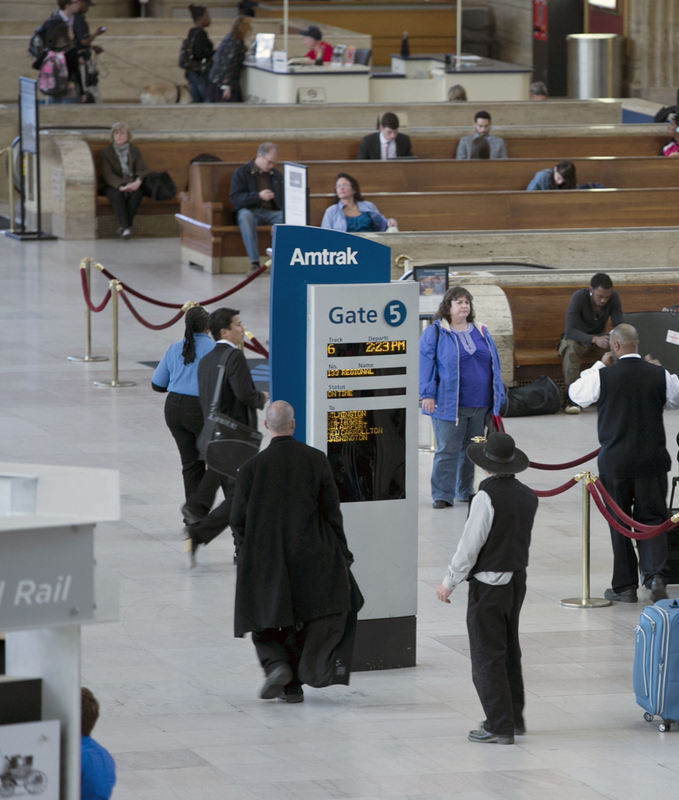 Surprises on the trains, in stations and elsewhere are planned as Amtrak pauses to celebrate this milestone. 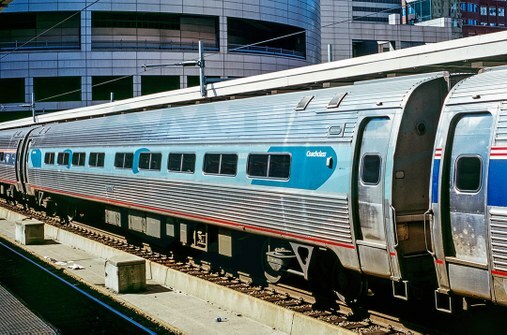 This is the last in a series of blog posts in which we take a look back at the journey to Acela Express and explore its future. Electrification of the Northeast Corridor between New Haven and Boston included installation of catenary wire to carry the electrical current used to power the locomotives. To prepare for the arrival of high-speed service, work began in 1996 to electrify the 157 miles of the Northeast Corridor (NEC) between New Haven, Conn., and Boston (the section between New Haven and Washington had been electrified by the New York, New Haven and Hartford Railroad and the Pennsylvania Railroad in the first half of the century). Travel time between New York and Boston fell by approximately 30 to 50 minutes (depending on the number of scheduled stops). This was a result of eliminating the switch from electric to diesel locomotives in New Haven and the faster acceleration of an electric locomotive. Expanded electric service required additional locomotives to supplement the existing AEM-7 fleet. Alstom, which together with Bombardier manufactured the 20 Acela trainsets, built 15 new high-speed HHP-8 locomotives. 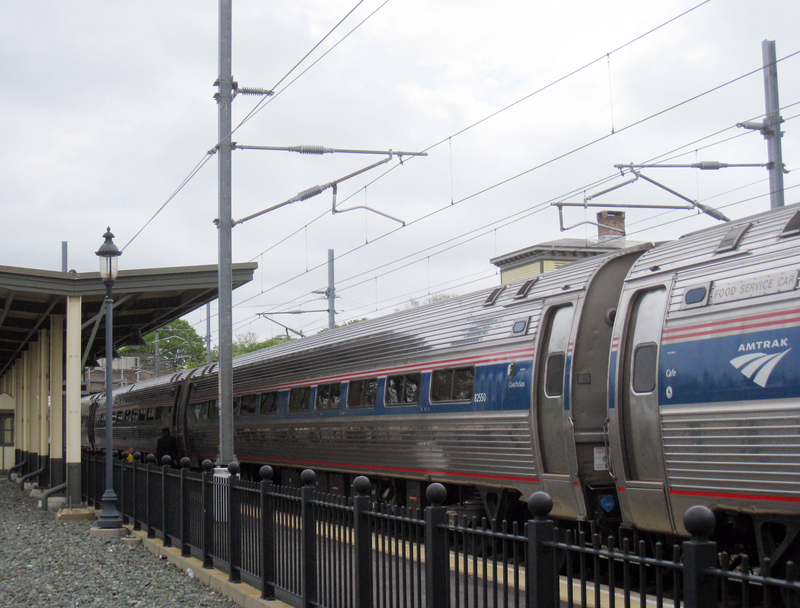 Their design was based on the Acela power car. They had 8000 horsepower and could achieve a top speed of 135 mph. Due to the arrival of 70 new Amtrak Cities Sprinter (ACS-64) locomotives beginning in early 2014, the AEM-7s and HHP-8s are now being retired. receive a new paint scheme. A $4.7 million High-Speed Rail Training Facility opened in Wilmington, Del., in September 1999.7 Senators Joe Biden and William Roth of Delaware and Governor Thomas Carper attended the dedication. The center houses a full-scale motion simulator that duplicates the experience of operating Acela Express trains from inside the cab. There is also an onboard service training lab complete with seats, tables and food preparation areas as well as classrooms. 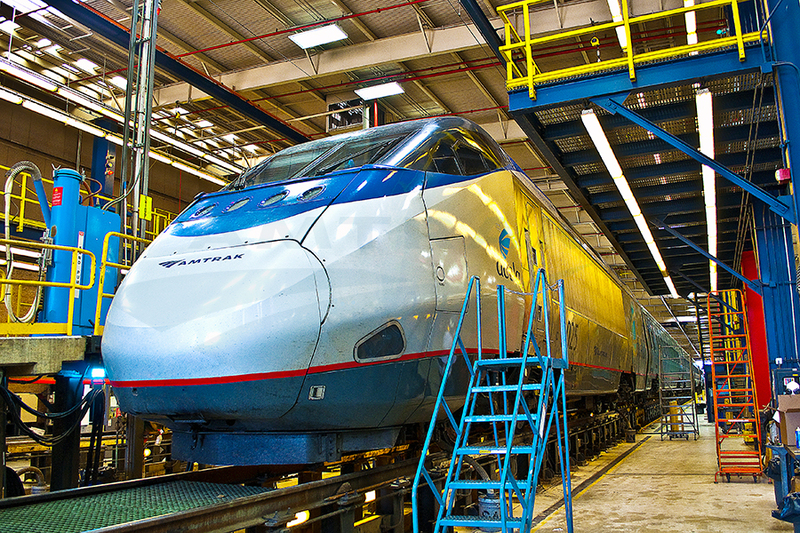 An Acela Express trainset on the inspection pit at the Ivy City High-Speed Rail Maintenance Facility. 2 “Signage for the HSR project receives four distinctive awards,” Amtrak Ink, June/July 2001. 3 “Amtrak launches first fully electrified service between N.Y., Boston,” Amtrak Ink, March 2000. 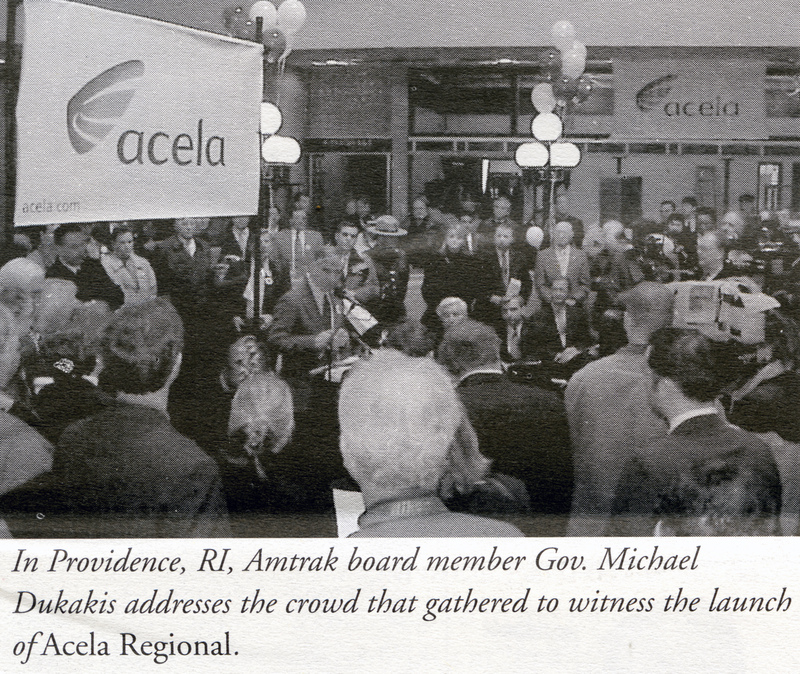 5 “Acela unveiled at new Ivy City Facility dedication,” Amtrak Ink, August 1999. 7 “New, high-speed rail training facility opens in Wilmington, DE,” Amtrak Ink, October 1999.